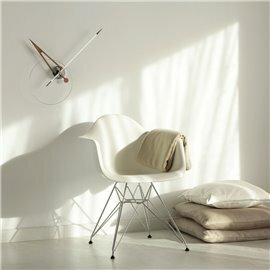 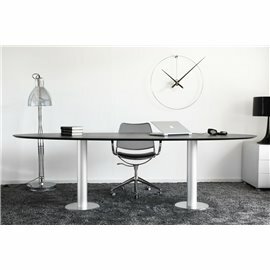 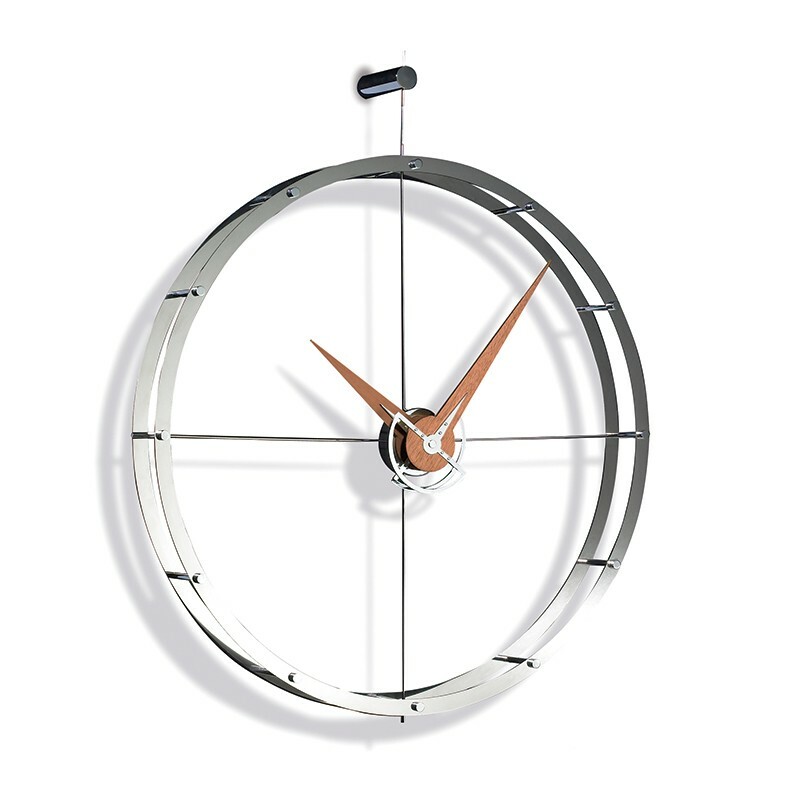 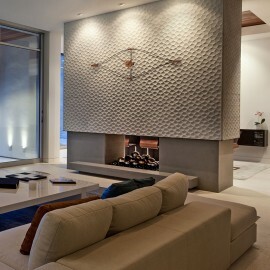 Nomon is the leading producer of design wall clocks. 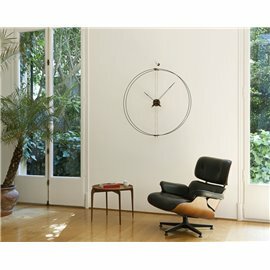 The wall clocks created by the worldwide famous designer Jose Maria Reina are based on the threefold principle of creativity - design - technology. 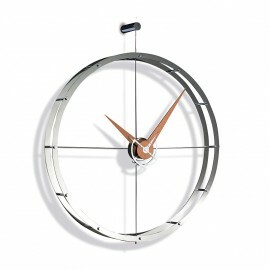 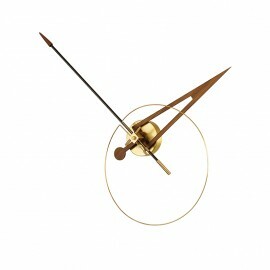 Produced in this way handmade wall clocks characterized by avantgard design and high quality. 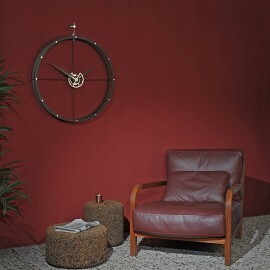 The central box of the Doble O I design wall clock with German UTS Quartz mechanism is chromed, the hands are walnut wood and the circle is polished steel. 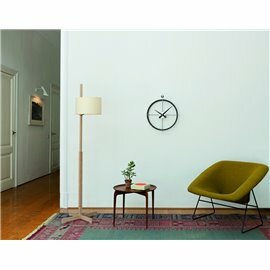 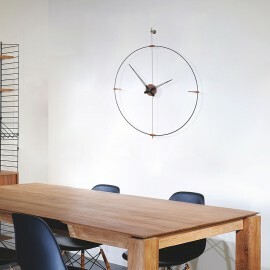 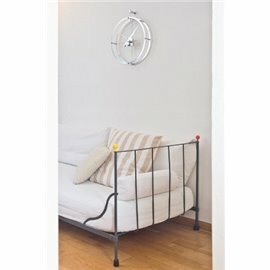 The diameter of the circle of Doble O I design wall clock is 70 cm. 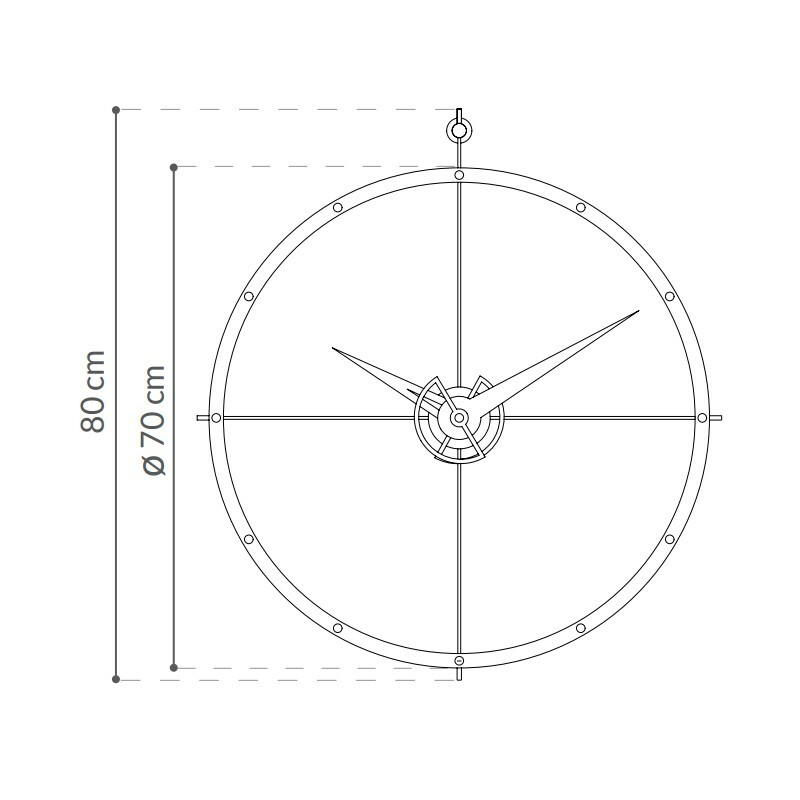 The total height is 80 cm.